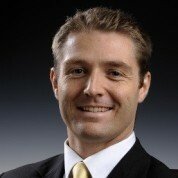 Peter Lacy leads Accenture’s Strategy and Sustainability practice and is based in Shanghai. Peter has worked for over a decade with the CEOs and top management of a range of Fortune 500 companies, the United Nations, European Union and public sector organizations on strategy with a strong focus on ethical, governance and sustainability issues. He is a world authority on stakeholder management and trust issues in sectors such as pharmaceuticals, mining and consumer goods. Before Accenture, Peter worked for McKinsey and Co, Andersen Consulting and the Academy of Business in Society, where he was founding executive director. He has advised top executives and boards for companies such as GSK, Diageo, BP, Coca-Cola, M&S, Exxon-Mobil, Vodafone, General Electric and Motorola. He chairs various taskforces at the World Economic Forum. He has twice led the world’s largest study on CEO attitudes to sustainability for the United Nations Secretary General and was a founding signatory of the United Nations Principles for Responsible Management Education. He is an alumnus of Oxford, Cambridge and Nottingham, and has done executive education at Harvard, Yale and INSEAD. He is a Business Fellow at Oxford University’s Smith School.